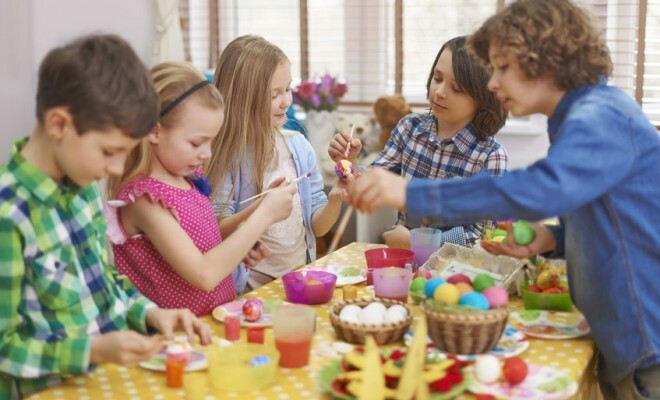 The Easter festival can provide inspiration for a range of exciting easter crafts activities, with its distinctive associated colours (green, yellow, orange, pink, white), as well as plenty of appealing and easily recognisable symbols (bunnies, chicks, eggs, lambs, flowers). 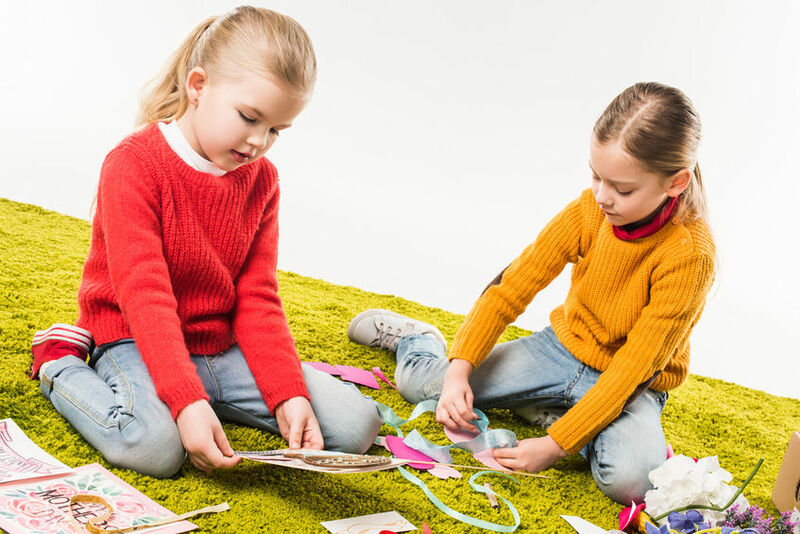 We’ve put together some ideas for Easter crafts for kids that are suitable for younger as well as older children, and grouped them into three sections – wearable Easter crafts, Easter cards and Easter decorations. Easter bonnets – buy some cheap hats and decorate them with tissue paper, streamers, pipe cleaners, chicks, eggs, flowers and so on (the more varied and Easter-themed the resources you can provide for this activity the better). Bunny ears – for this easter crafts project you’ll need some plastic hair bands, pink card, cotton wool and glue. Cut two large ear shapes out of the pink card, glue cotton wool all around the edges, and tape the ends of the ears onto the hair band. Lamb mask – cut out the middle of a white paper plate, and glue cotton wool balls all around the ring of card that is left. Stick two small pieces of black card at the top to make ears, and make two holes at the sides so that you can tie some elastic on to complete the mask. Bunny stick mask – for this really simple project you’ll need some lolly sticks, cotton wool balls and white or black pipe cleaners. Take three pipe cleaners and glue the middles at the top of the lolly stick, bending them a little to make whiskers; glue a cotton wool ball on top for the nose. Easter nests – collect some tiny twigs (cut them up if necessary – you need a pile of sticks approx 3-4cm long), and glue these onto a piece of folded card, in a nest shape. Add a clutch of eggs above the nest by making fingerprints with different coloured paints. Potato print chicks – cut some potatoes in half lengthways, and dry them off with paper towels. Dip the potatoes in yellow paint and print onto a piece of folded card to make the chick’s body; once the paint has dried add googly eyes, orange beaks, feathers, legs and so on. 3D flowers – for this project you’ll need some petit four cases, paint and card, all in a range of Easter colours. Paint some petal shapes on a piece of folded card and (when the paint is dry) glue a petit four case in the middle, bottom side down. You could use the same colours, or mix and match, to create different effects. Egg prints – dip half of a click-together plastic egg in paint to print an egg outline onto a piece of folded card. Decorate inside the shape with paint, pens, stickers or collage materials to make a colourful Easter egg picture. Easter egg bunting – cut out egg shapes from coloured card and decorate them with paint, tissue paper, washi tape etc (NB the bunting looks most effective if the children all use similar materials and/or patterns). Attach the eggs to some string or ribbon and hang up. Decorative Eggs – for this easter crafts activity you’ll need hard boiled eggs (cooled!). Place each egg in a bowl of cold water, 1 teaspoon of vinegar and about 20 drops of your choice of food colouring. Leave the egg to soak in the coloured mix (the egg will be darker the longer you leave it). Once coloured and dried you can paint decorative easter designs onto each egg. Clay bunnies – roll out some air-drying clay and use a bunny-shaped biscuit or dough cutter to make some clay bunnies; make small holes at the top of each and leave to dry. Paint the bunnies, and when dry thread them onto ribbon and hang up (eg on a branch in a vase). 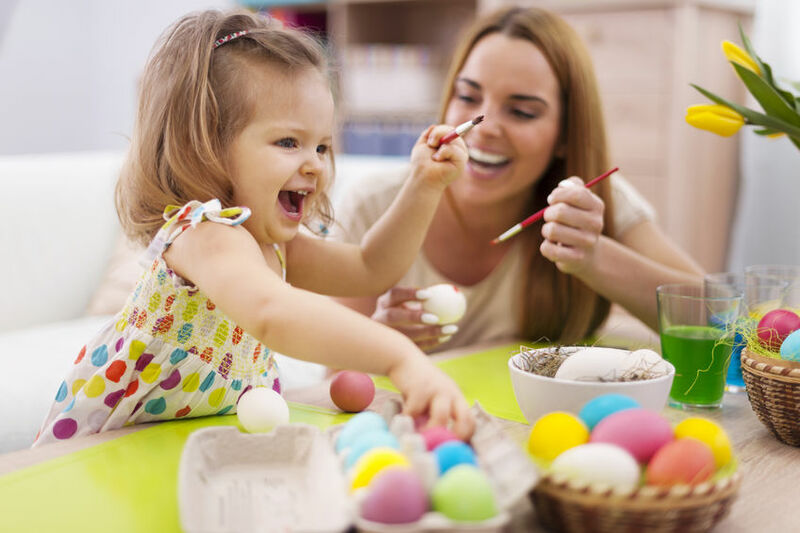 Woolly eggs – for this (messy but fun) easter crafts activity you’ll need some small balloons, lots of wool cut into lengths, and some bowls of runny glue. 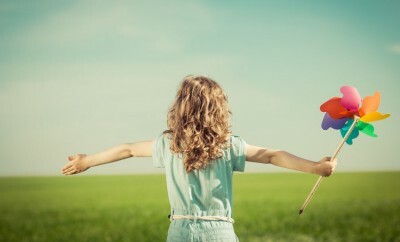 Blow the balloons up and tie them off, then dip the lengths of wool into the glue and wrap them round and round the balloons to get a good covering. Once the glue is dry, pop the balloons and you’re left with woolly egg shapes. Blossom mural – roll out a long length of paper and tape it to the floor; paint a simple pattern of branches going all the way along. Scrunch up small pieces of light pink or dark pink tissue paper and glue them on the branches in clusters to create a blossom picture for the nursery wall. 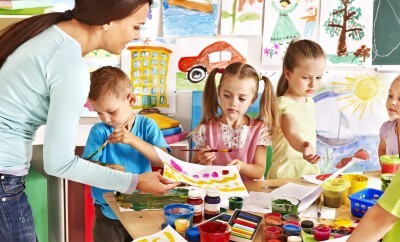 Do you have any easter crafts that you enjoy? Let us know in the comments below.